The Colorsound Power Boost was one of the very first overdrive pedals available. It offered a wide range of tones and soon became a favourite among guitarists like Jeff Beck and David Gilmour. Both using it to create their signature sounds in the early 70s. In this feature weâ€™ll look at the history of the Power Boost and compare some of my favourite models. 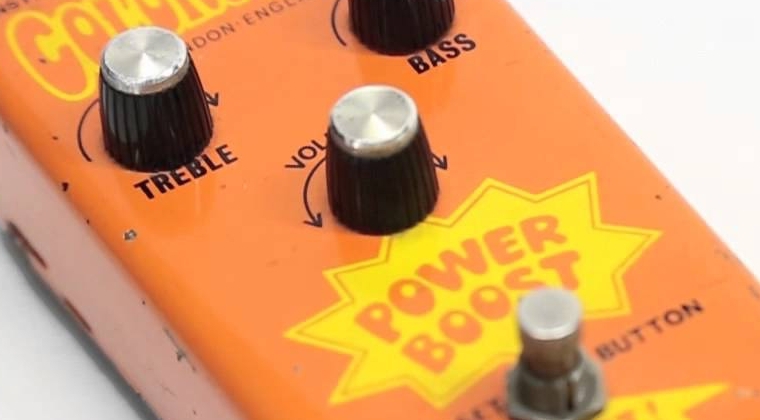 The Power Boost was designed by Gary Hurst around 1968-69 (depending on who you ask) and sold by Macariâ€™s Musical Exchange in London, UK. Gary also designed the legendary Sola Sound Tone Bender. The early versions of the Power Boost was powered by 18V but later changed to 9V. Continue to read and please use the comments field below the feature to comment!